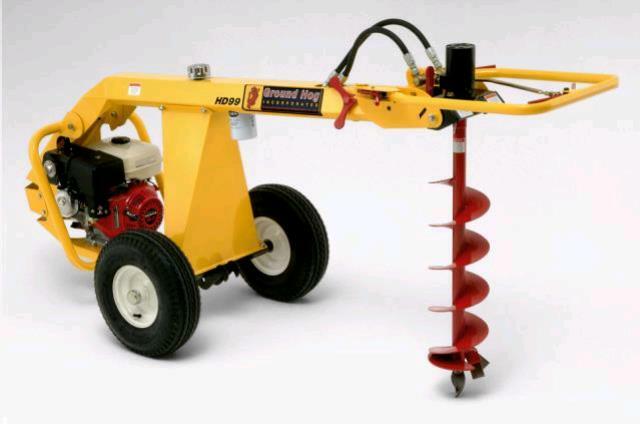 DIMENSIONS (LxWxH)......... 100" x 36" x 40"
The Ground Hog HD99 is a Towable Hydraulic Earthdrill that is designed to be powerful and easy to use. The HD99 is the most powerful earthdrill in the Ground Hog line. 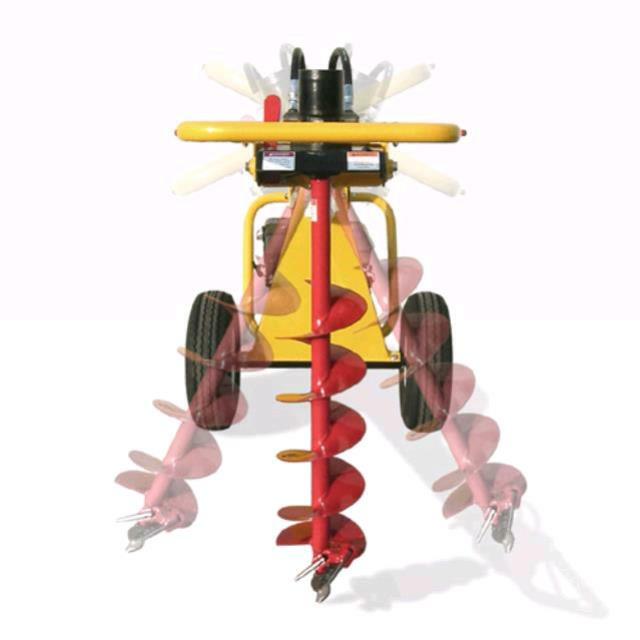 With it's 9hp Honda engine, the HD99 can easily dig with any Ground Hog auger up to 16" in diameter. The use of hydraulics allows the HD99 to have variable auger speed and reverse which is very useful if the auger gets stuck. 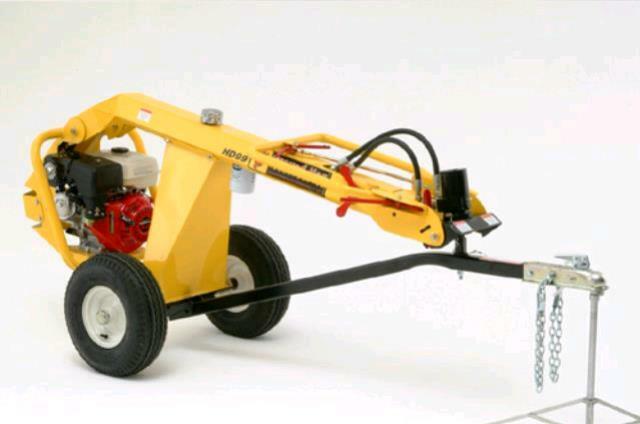 ** Please call us for any questions on our one man post hole auger hydraulic rentals in Fairview Heights IL.